A refined and elegant salon with original furnishings for exclusive and reserved meetings for up to 30 persons. For those who wish to dispose of the entire structure for private use, the "privacy supplement" is available and varies with the period of use; it is added to the price of the requested services. Advance notice of at least 24 hours is necessary. The hotel offers free parking in the available spaces in the park. Parking is outdoors and unguarded, so the hotel will not be liable for theft or damages to vehicles or their contents. Villa Las Tronas has charging points for electric cars, both Tesla and other car manufacturers. Charging is free for customers who will be staying at the hotel. The helisurface at Villa Las Tronas makes it possible to land directly at the hotel, in perfect privacy and comfort.  At request, with at least 24 hours advance notice, the hotel can arrange for transfers to the Alghero airport or any other destination in Sardinia. All pets are welcome at Villa Las Tronas and can stay for free with their owners. We invite you to contact us to find the most convenient solution for you and your travel companion. A pleasant conversation, a book, a drink, a game of billiards: slip into the relaxing atmosphere of Villa Las Tronas, let yourself be pampered during winter evenings, rediscover the pleasure of otium surrounded by the warmth of a unique and historic residence. The outdoor swimming pool offers a spectacular view of the gulf of Alghero from a small valley that shields you from indiscreet glances. It is filled with sea water, is not heated and is available during the summer months. During the winter months, the heated indoor pool of the Spa is available. It is also filled with sea water. Our Spa is available to our guests all year round. It has a heated indoor pool filled with sea water with a temperature of over 28 ° C, that offers a view of Capo Caccia to the west and the bay of Alghero to the north. The pool is equipped for hydro-massage and counter current swimming. The sauna and Turkish bath are also available to complete a pleasurable stay in an atmosphere of complete relaxation and tranquillity. Villa Las Tronas offers the most romantic of settings for celebrations, parties, weddings and events. The refined environment, blended with the beauty of the surrounding landscape, is the perfect setting for an unforgettable event. Banquets can be arranged in the Villa restaurant for up to 50 participants, or outdoors for a greater number. In the case of outdoor events, the cost of the necessary set-up will be added to the price of the menu. From May to October, banquets for more than 30 persons can be scheduled only at mid-day; from November to April, in the evening as well. For those who wish to dispose of the entire structure (hotel, restaurant, park and Spa) for private use, the "privacy supplement" is available and varies with the period of use; it is added to the price of the requested services. Sardinia is an ideal place to care for your well-being.